Hidden Creek sits on 51 beautiful acres of land in a great location in Fillmore Township. There are 114 home sites in Phase I, with growth potential up to 252 sites when fully developed. 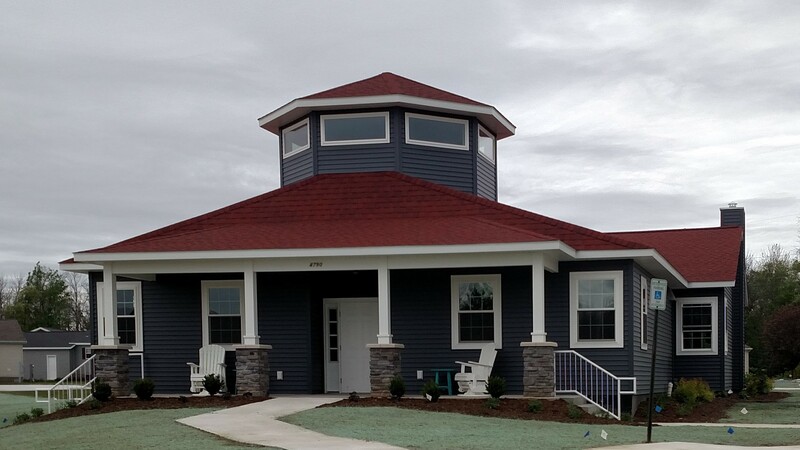 Our recently completed Community Clubhouse features a full kitchen, gathering room, and lounge. We are pet friendly, although some restrictions apply. We offer experienced, professional property management with affordable monthly site fees. Our comprehensive application process helps assure that the homes and residents at Hidden Creek will experience safety and security within the community setting. Take an exciting aerial tour of Hidden Creek to get a sense of the beauty of the surroundings that awaits you. From the new community clubhouse and pickleball courts to the maintenance-free home models ready for you to explore, Hidden Creek offers the carefree lifestyle you’ve been searching for.